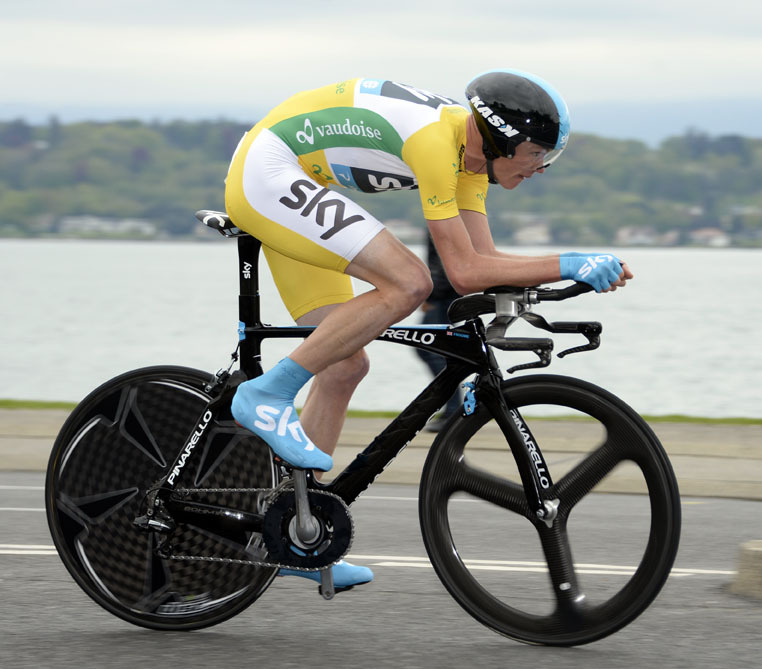 Chris Froome (Sky) comfortably completed his Tour de Romandie victory with a third place finish in today’s final time-trial, 33 seconds behind stage winner Tony Martin (Omega Pharma-QuickStep) and extending his lead ahead of Simon Spilak (Katusha) by seven seconds. The Briton follows in the footsteps of team-mate Bradley Wiggins, who won the race last year before going on to win the Tour de France. Spilak put up a spirited fight, finishing close to Froome at every time check, however yesterday’s winner needed to put over two seconds per-kilometre into the yellow jersey, a task which inevitably proved impossible. Though the battle for GC lacked suspense, the stage win was keenly contested, although ultimately no rider could get close to Martin’s time. The German finished the 18.7kn course in 21 minutes and 7 seconds, putting 16 seconds into early leader Adriano Malori’s time. This is the world time trial champion’s fourth win against the clock this year, and his dominance this time round was underlined by the fact he caught the man ahead of him at the finish line, Janez Brajkovic, who is himself a talented time-trialist. Martin went into the race harbouring GC ambitions, however admitted at the finish line today that his early attack yesterday had been a ‘mistake’, which rather than help him gain time instead saw him fatigue and drop out of contention. The Portugese rider Rui Costa consolidated his place on the podium, equalling his third place finish last year, however the shortcomings against the clock of Robert Kiserlovski and Thibaut Pinot was apparent as the pair slipped from fourth and fifth to outside of the top ten, while Thomas Danielson and Wilco Kelderman leapfrogging them to round off the top five. 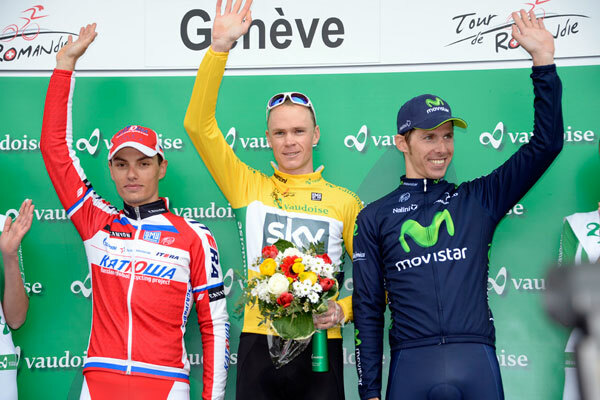 The result sees Froome claim a third stage win of the season and rise to 6th in the World Tour standings. However, it shall be the Tour that ultimately decided the success of his season.